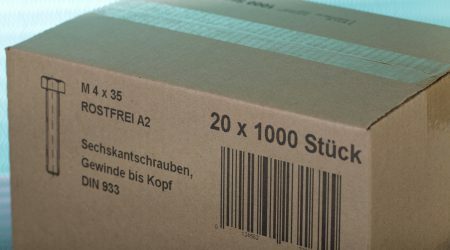 Barcodes can be found everywhere – whether on the food packaging in the supermarket, on the shipping package in logistics or on component parts in industrial production. No wonder, because they are an essential tool for Automatic Identification and Data Capture (AIDC). 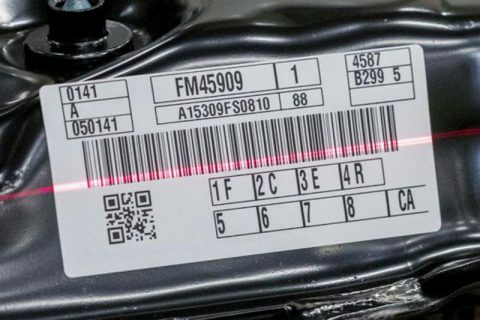 Scanning barcode labels with a device is just so much faster than entering information into a system by hand. 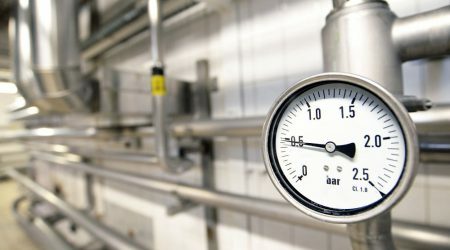 In addition, it results in fewer errors because machines are simply more reliable in this task. However, not all barcodes are the same. 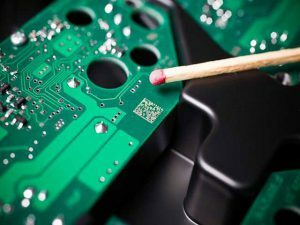 Among them is one that plays a key role in many industrial applications such as Direct Part Marking (DPM): the Data Matrix code. In this article, you will learn more about its particular benefits. 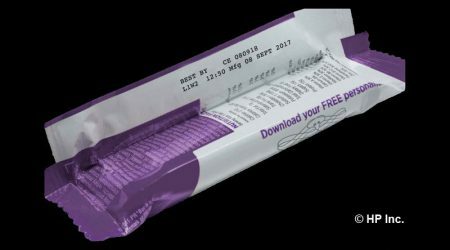 Data matrix, barcode, QR code – what is the difference? 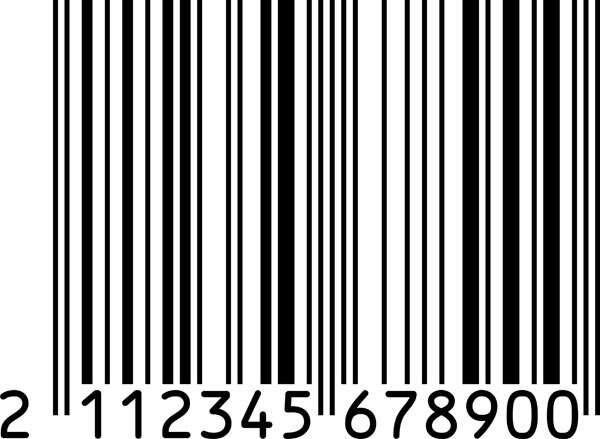 two-dimensional (2D) barcodes which encode data in the form of an area across two directions. 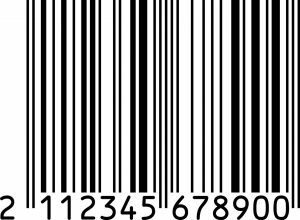 One-dimensional barcodes such as EAN codes consist of varying widths and spacings of parallel lines. They are also called linear barcodes. 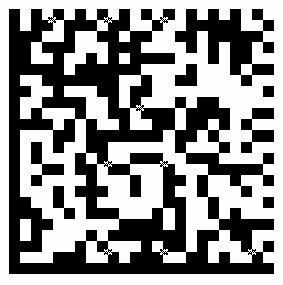 Just like QR codes, data matrix codes are 2D barcodes. They are usually square in shape and encode information in the form of square black and white dots, forming the so-called timing pattern. It can encode up to 1556 bytes or up to 3116 digits. At one edge you will also see ​​an L-shaped finder pattern consisting of two solid adjacent borders. This part helps scanners to locate and orient the Data Matrix code. 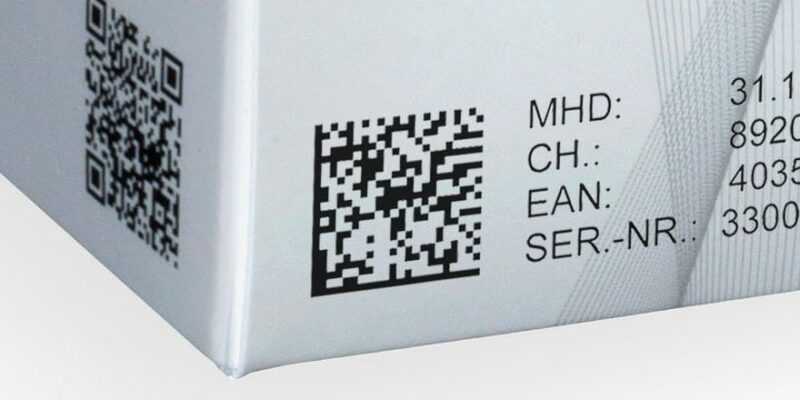 Due to their ability to encode a large number of characters in an area as small as few millimeters, Data Matrix codes occupy less space than other barcodes. As a result, they are particularly suitable for marking on very small products and round surfaces. Their dimensions are basically only limited by the printer in use – be it inkjet printer, laser marker or label printer. Being very tiny and discreet, Data Matrix codes will not even attract any consumer’s attention. 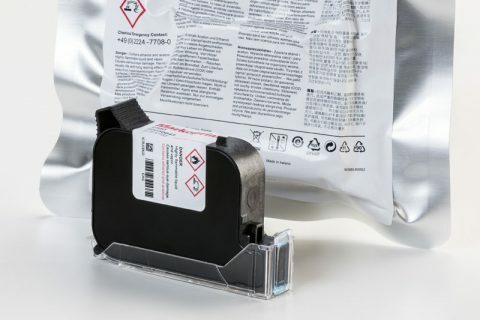 When small in size, they also have the positive side effect of saving consumables such as labels or inks and solvents. Another great advantage: Data Matrix codes have an integrated method for automatic error correction. Even if up to 30% of the surface is destroyed, powerful algorithms ensure successful decoding! 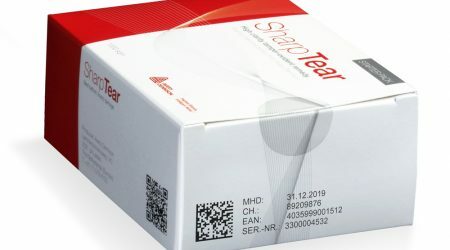 Data Matrix codes are also much easier in terms of readability: A contrast of only 20% can be sufficient while linear barcodes must have a high contrast of at least 80% for the scanner. This means, for example, more freedom of design with colors which would otherwise be common sources of barcode errors. To read Data Matrix codes, camera scanners are primarily used. They will capture the code in two directions, regardless of the orientation. In other words: It doesn’t matter which way the Data Matrix symbol is turned when it’s being scanned. Quite practical! 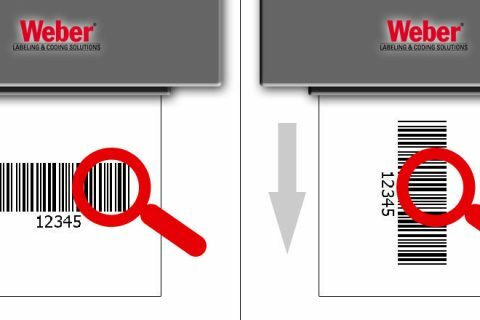 Conventional barcode scanners capture only linear lines, making them not suitable for reading 2D barcodes such as Data Matrix codes. Instead, you will need specific camera scanners which may be more expensive. However, this does not have to be a disadvantage: Those camera scanners can also read traditional 1D barcodes. Investing in newer technology may certainly be a good decision! Want to learn more about how to use Data Matrix codes and other bar codes profitably in your production and logistics? Contact us for an individual and free on-site consultation!